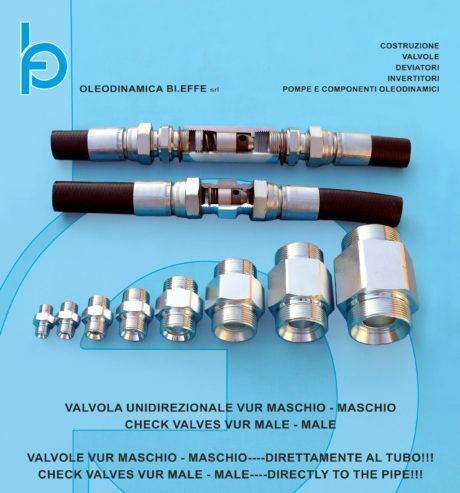 Oleodinamica Bi.Effe is a dynamic company formed by people of great experience in the field suitable to suggest vanguard solutions to the hydraulic system applications, having a fifty-year experience in the hydraulic valves manufacture. Bi Effe products are sold in several countries like Germany, France, Spain , Nederland, Turkey, South Africa, India, Japan, Norway and many other. We improve continuously our products with never ending efforts in research and development: in this we trust, to give to our customers what they ask us. All projects are carried out with flexibility, competence and professionalism to grant always the best solution. Our technical/sales dpt. 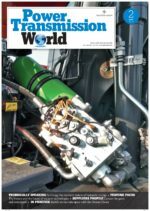 Is at your disposal to support you with the development of personalized hydraulic systems and a punctual post-sales assistance. In order to satisfy the new demands on market, during last years we introduced our valve “VUR maschio-maschio”/ VUR male-male. Male-male check valve has both thread male. This feature gives the valve suited to every space need. Valve is directly connect to the pipe. No additional fittings means: less cost. Thanks to his characteristics, he began on of the most important item of our gamma. For further information about this valve and more, we will be at your disposition during Exhibition. In this occasion, you will have the chance to meet us, watch personally our products and find together the best solution for your every need.